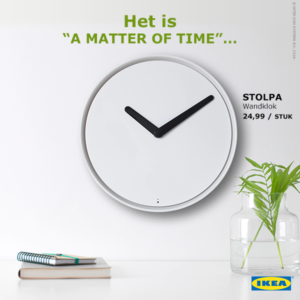 Ahead of tonight’s first semi-final of Eurovision 2018, IKEA Belgium is getting behind the Belgian entry, “A Matter of Time” by Sennek. Alongside her music career, Belgian Eurovision entrant Sennek also works as a Visual Merchandiser for IKEA. She is currently taking a break from her job at IKEA whilst representing Belgium at Eurovision.